Avoid making these common grammatical mistakes on your CV. According to Undercover Recruiter, 59 per cent of recruiters reject a CV because of bad spelling or grammar. But this statistic needn’t be this high! With a few simple proofreading strategies and CV-writing tips, you can easily avoid grammar mistakes and escape being lumped into this 59 per cent. 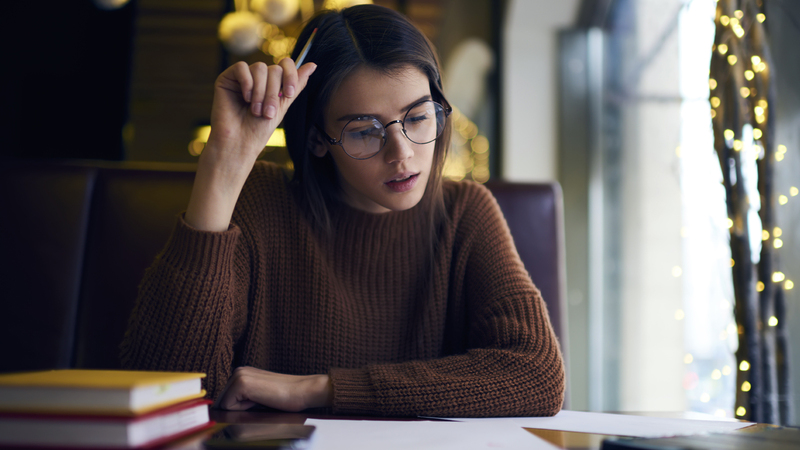 Give yourself the best chance at CV success by familiarising yourself with the five most-common grammatical CV mistakes. Then, avoid them by adopting the following standard proofreading practices. In a study conducted by Grammarly, it was found that a typical CV has an average of five potential errors, and over 60 per cent of these are grammatical. It’s easy to fall victim to a grammatical error now and again. However, to help you combat the most-common CV mistakes, here are five of the top offenders. Advice/advise: ‘Advice’ refers to an opinion or recommendation given (e.g. He gave good advice). ‘Advise’ means to provide an opinion or information (e.g. He advised the employee). Affect/effect: ‘Affect’ is a verb, meaning to impact or change (e.g. The new policy affects employee lunch hours). ‘Effect’ is a noun that refers to the outcome of a change (e.g. the effect of the change in procedure). It’s/its: ‘It’s’ is the contraction of ‘it is’, while ‘its’ ‒ without an apostrophe ‒ is used to show possession (e.g. the company and its benefits program). There/they’re/their: ‘There’ is used to describe a place or that something exists (e.g. There is a vacancy). ‘They’re’ is a contraction of ‘they are’ (e.g. They’re in the middle of negotiations). And ‘their’ is used to show possession (e.g. their jobs). Your/you’re: ‘Your’ is used to describe something connected to or owned by you (e.g. your experience), while ‘you’re’ is the contraction of ‘you are’. Now that you know the most-common grammar mistakes made on CVs, take a look at how you can avoid them. As a first point of call, use the built-in spelling and grammar checker in your Word processor to pick up basic typos and punctuation errors. Don’t rely on it to pick up every mistake though! Spell checkers do not pick up contextual spelling errors. For example, you may have typed ‘possession’ instead of ‘position’, and the spell-checker won’t pick this up. Therefore, it’s a good place to start, but it’s not the be all end all. A proven practice used commonly by proofreaders is to do three comprehensive read throughs of a document. During the first read through, pay attention to the overall content, flow and consistency of your CV. Is the content correct? Does the writing flow? Is the language consistent from start to finish? The second read through is where you pick up on typos, punctuation mistakes and grammatical errors. Read each sentence slowly and carefully. Pay particular attention to commas, apostrophes and hyphens, making sure they have all been used correctly. The third read through is to check the formatting. Are paragraphs aligned? Are bullet points consistent? Have you used indentations and are they consistent throughout? By splitting the proofreading process into three distinct areas, it will be easier for you to avoid any mistakes slipping through to the final draft. It may sound strange, but it’s surprising how often this CV-writing tip works. When you read your CV out loud, you will pick up on things you may have missed when reading it silently. It’s especially a good way to recognise any awkwardly-phrased sentences. After you’ve finished, skip to the end of your CV and read it backwards, word for word. Pay attention to the spelling of each word. Many typos that have slipped through in prior reads will get picked up in this step. When you spend too much time looking at a document you can become blind to it. When this happens, it’s a good idea to give it to a friend to read. A fresh pair of eyes will often pick up on errors you may have missed. Proofreading may seem like an overwhelming process, but when you break it down it’s actually quite straightforward. Taking these steps can make a huge difference when it comes to your job search, so don’t neglect it! An error-free CV will help keep you away from the ‘rejected’ pile. We’ll catch any grammar mistakes you may have made on your CV. Submit yours for a free CV review and we’ll tell you where you stand. How long should my CV be? How do I say ‘I’m willing to relocate’ on my CV? What is the best CV format to use for my job hunt?